With the release of the Nintendo Wii, and of Wii Sports, mimicry of popular (or in some cases not so popular) sports swept through living rooms across the globe. This spawned a series of clone sporting games to litter the shelves of the Nintendo Wii section in gaming stores, none of which live up to the original Wii sports by any means. 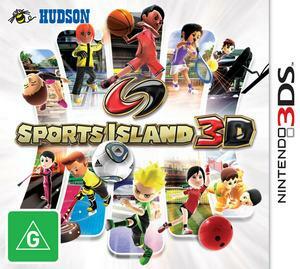 Does the release of Sports Island 3D for the Nintendo 3DS signal a similar trend for Nintendo’s new portable console? Only time will tell, but I certainly hope it will not be the case. 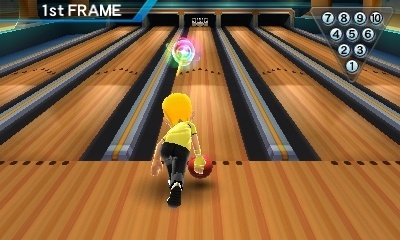 While the 3DS obviously can’t utilise the gestural movements possible with a Wii remote, its unique technology still might be able to provide some interesting gameplay for sports games. 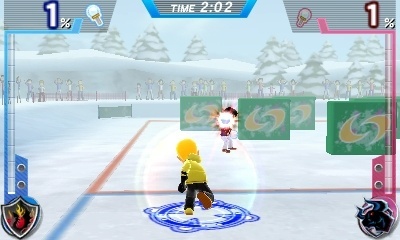 The structure of the game is similar to other multi-sporting games, in that there are a bunch of mini game sports within the game. The sports featured include: basketball, soccer, tennis, ice hockey, snowball fight, trampoline, snowmobile racing, sport blowgun, bowling and sumo wrestling. A few odd choices, but still has the essentials. There are a few options of gameplay that utilise the range of sports the game has. While you can also play the sports individually, there is also the option to play one sport in a tournament format, or go the championship route. The championship path is a little confusing. You start at the bottom of the ranks, which is completely understandable; after all you are a fresh new sports team. However, this means that you need to win 30 championship rounds in order to be the number one. You are able to pick what team to compete against, from ranks 1-30, not including your own team. You are then prompted to pick a sport to compete in, which will be one of the three sports you compete in. The whole process is a little taxing, and a little lacking in significant structure. I much prefer competing in tournaments, you get to pick the sport you enjoy the most and compete against a few other teams, testing your skills as the games difficulty increases. Sports Island 3D attempts to utilise the unique technology of the 3D in gameplay, but I fear that they have missed the mark in this one. 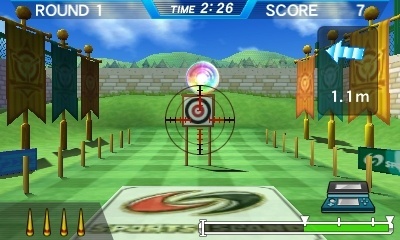 Games like sport blowgun make use out of the gyroscopic technology of the 3DS for aiming, as well as the microphone, which you must blow into to launch the dart. Oddly enough, my dart just blew out by itself every time, so I was a little perplexed by that situation. Ice hockey uses the stylus to control the game, which I can understand as it’s a rather obvious affordances seeing as the stylus is similar to a tiny hockey stick. But the controls are a little hard to manage, especially when trying to couple moments with button pressing for special attacks. I am a fan however of the stylus being used in bowling, but it feels a little bit like a cheat making it a little too easy to aim. Despite attempting to use the 3DS as a unique gaming device the controls strike me as slightly heavy. By heavy I mean, the controls don’t seem to instantaneously cause in-game action, nor do they cause very high speed or fast-paced action. The whole process of control is rather sluggish. I am a little concerned about the lack of customisation available in this game. 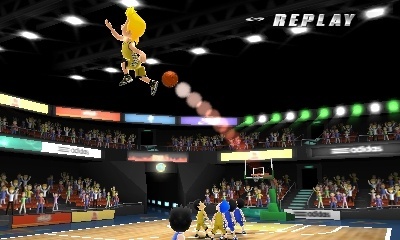 In other sports games made for Nintendo products (specifically the Wii, and I know, the 3DS isn’t the Wii) there is a good use of Mii integration into sporting games. Given that sports games are essentially about simulating the act of playing a sport, I think the importing of your own Mii into the game adds that sense of immersion while making the game a little more fun through personalisation and a bit of novelty-based charm. 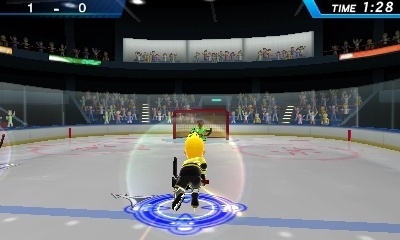 Sports Island 3D has a set number of hairstyles, faces clothes and colours, and while you might be able to unlock more, it still doesn’t match the customisation ability of the Mii maker. Given that the 3DS has both facial recognition technology and a rather advanced Mii marker, it would be nice to see the Mii used a little outside of street pass games to add personalised touch to some games. Other than this, the graphics aren’t anything special; the characters are a little blocky for my liking. However, I must admit the 3D works very well on this title, but I’m not sure how necessary it is in a sports title. I find the audio completely annoying. It is a very limited music track that is played on repeat throughout loading scenes, which there are a lot of because every time you start a game it gives you a run down on the controls. Which is both good and bad: bad because it consumes time and is an annoyance to bypass, good because the controls are so different for each game that its hard to remember them all. Even within the sporting titles, the music is much the same and runs on a repeat track with a very obvious break where it starts again. The sound effects are fitting to in game action, but don’t ever jump out and wow you. 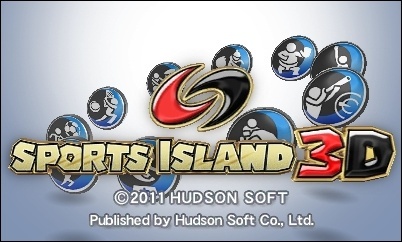 There is some merit to Sports Island 3D. The games are unique, and if the soccer and basketball were a little more fast-paced, they’d be pretty good mini-games. There is also a bit of promise in unique sports like snowball fight and especially sumo wrestling. My issue with the slow feeling controls still stands, but with further development there could be something to these mini-games. Overall, I wasn’t completely taken by Sports Island 3D.